How can I access the add an image and Splash? You can add an image with the menu File > Open & Place. Can you please explain a little further what you mean by Splash? What happened to Pixlr? Disappointed it was removed. It had many features that Ribbet fly doesn’t. Where is a person suposed to go to get info on how to actually USE the Ribbet fly? I’m lost from the minute it opens up… I have no idea where to start. It would be helpful to newbies to have some place where we could read up on how to learn to use it. Hi Kim, Thanks for reaching out to us! Pixlr are unfortunately retiring their Pixlr Flash editors and as their API (which Ribbet has always relied on to integrate with them) is broken and won’t be fixed, we are no longer able to include them in our Pro Editor tool. We have however started adding lots of new Pixlr-like overlays and borders to the main Ribbet editor (check out the web app‘s new Overlay tab). Please let us know if there are any other particular effects that you’d like to see us implement! In regards to my previous post…. where are we to go to find info on how to use Ribbit fly? No clue where to start to even try to use this feature. Not a benefit if users can’t learn it somehow. Please post info on how to USE the Ribbit fly or start a forum just for it so other users can post directions on how to edit using it. What are layers? How does the wand work? How do you save things? Help please. – Layers: If you had a physical design that was made up of multiple transparencies layered on top of each other, each with an element of the design on it, then they would be equivalent to layers in Ribbet Fly. So one layer could have some text, another a pattern, and another a photo. Together the different layers show at the same time to produce your image. 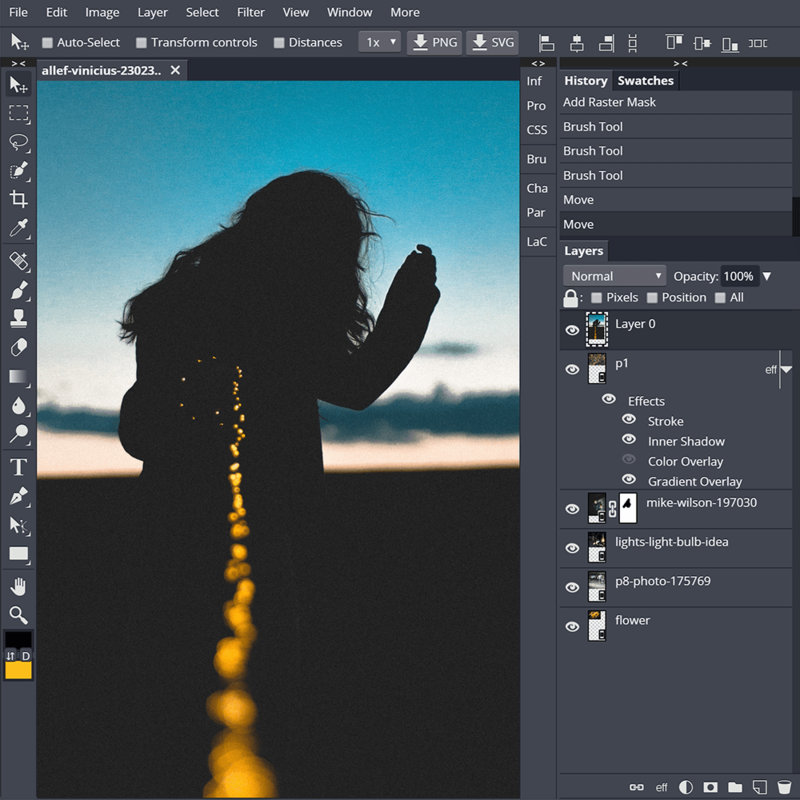 The power of layers is you can move one of these elements around by itself or make other manipulations to it without affecting the whole image. – Magic Wand: This tool is a way of selecting areas of similar color. Just how sensitive this selection is depends on a) the “Tolerance” (on the top toolbar) – a higher tolerance will select more of your image, and b) the “Contiguous” checkbox – when this is unchecked similar colors will be selected from your whole image, not just where you clicked. Once you have a selection you can paint or use other tools on only that area. Let us know if you have any other questions! Happy to answer here or you can leave them in our newly created Ribbet Fly Forum. A tutorial on how to use Ribbetfly would be most welcome. I have no knowledge of Photoshop. Photoshop tutorials are little or no use for people wanting to learn how to use Ribbetfly. Maybe it’s easy for Photoshop users.